CHESTER, England (CNS) — Christians in Pakistan are fighting persecution and terrorism with interfaith dialogue, said Archbishop Sebastian Shaw of Lahore. He said he hoped such dialogue would result in the mitigation of the country’s severe blasphemy laws, which have led to the lynching and jailing of increasing numbers of falsely accused Christians. The archbishop told Catholic News Service in an Oct. 10 interview that Christians were being wrongly accused of blasphemy at a rate of about one every two weeks. “The blasphemy law is being misused against Christians and that must stop,” he said. Because the Christian faith could not condone paying “evil with evil,” the solution to the “kind of persecution” was dialogue with the Muslim majority, he added. The archbishop said Christians had met with senior Muslim scholars and imams in the hope of achieving change. “We explained that they (the meetings) were not to convert anybody and it was not about a Western agenda, but to learn from one another — what you believe and what we believe,” Archbishop Shaw said. Archbishop Shaw has served on the Pontifical Council for Interreligious Dialogue since about the time of his installation in Lahore in 2013. In his interview with CNS, which took place in Lancaster, he said that on many occasions he had stressed his views on coexistence to Muslim dialogue partners. He said he was urging religious leaders repeatedly to preach tolerance in mosques, churches and temples. “This is what I feel the role of the religious leader to be,” he said. 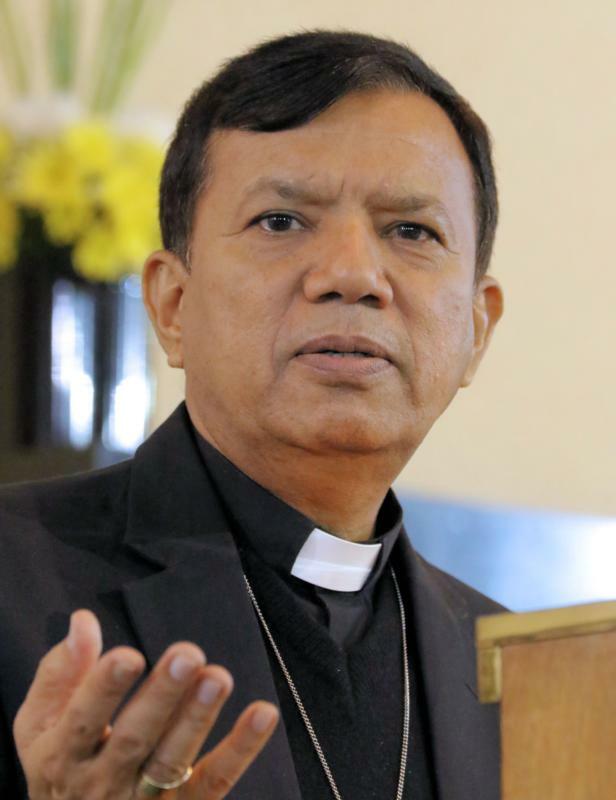 In March, Archbishop Shaw earned the respect of many Muslims by visiting Muslim survivors of a suicide bomber who blew himself up at a children’s playground in Lahore’s Gulshan-I-Iqbal Park on Easter Sunday. The terrorist, a member of a Taliban offshoot, targeted Christian families, but many Muslims were among the 72 fatalities and the 340 injured. Archbishop Shaw spent a day consoling and praying with all victims and their families at Lahore’s Shaikh Zayed and Jinnah hospitals, and he later arranged church-based trauma counseling and rehabilitation for both Christian and Muslim victims. Many Muslims, including imams, were later “very appreciative” of his work, he said, with one Muslim cleric telling him he was a “sign of unity and peace” for Pakistan.